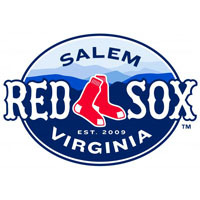 The Carolina Mudcats used five-run second and third innings to break open Wednesday’s afternoon affair in a 13-6 win over the Salem Red Sox at LewisGale Field. The Cats jumped all over Simon Mercedes early and rolled to a second straight victory. Cole Susler was solid for Carolina in the victory, throwing six and a third innings. Sulser allowed three runs on five hits, posting two walks and three strikeouts. Mercedes was saddled with the loss, surrendering five runs on four hits and three walks in just an inning and a third. Salem actually led this game 1-0 after one. Carlos Asuaje led off the frame with a double, moved to third on a sacrifice bunt by Mike Miller, and scored on an RBI single by Jantzen Witte. Carolina would answer with 11 runs in a row before the Sox would score again in the fourth. Carolina immediately answered Salem’s run in the top of the second. Mercedes walked Jeremy Lucas and surrendered back to back doubles to Alex Monsalve and Jerrud Sabourin, giving the Cats a 2-1 lead. After picking up the first out of the inning and walking Logan Vick, Todd Hankins singled in Sabourin to push the lead to 3-1. After another RBI single by Yhoxian Medina, Mercedes was relieved by William Cuevas. Cuevas surrendered a sacrifice fly to Joe Sever, eventually retiring the side with the Mudcats up 5-1. The turning point in this game came in the bottom of the second, with the deficit still manageable at 5-1. Sulser walked Kevin Heller and Jordan Weems to put two on with just one out. Matty Johnson hit a scorching liner, but hit right at Medina who snagged the liner and stepped on second for an inning ending double play. The Mudcats then sent all nine to the plate again in the third to break it open. Lucas again walked to lead off the frame, followed by a one out walk to Sabourin and single by Roberts loaded the bases. Cuevas walked Vick to bring in the Mudcats sixth run. A batter later, Hankins hit a grounder to short, which Miller fielded and threw wide of second, scoring two runs on the error. A sacrifice fly by Medina made it 9-1 and Joe Sever single in his second run of the game, giving the Mudcats a commanding 10-1 lead after three. Cuevas finished with six runs allowed (four earned) in two and a third innings of work. The Cats were far from done though. In the fourth, Lucas led off with a single. He later scored with two outs on a single by pinch hitter Luigi Rodriguez to finish the stretch of 11 unanswered runs. Salem did answer in the bottom of the fourth. Mario Martinez singled off Sulser to start the frame, followed by a double by Matt Gedman. Aneury Tavarez drove in Martinez on a sacrifice fly to center, to make it an 11-2 game. But the Mudcats struck for two more in the sixth. Sabourin picked up his third RBI of the game with a solo homer to right field off Kyle Kraus to push the lead back to 10 runs at 12-2. Later in the inning, a double by Vick, walk to Rodriguez, and single by Medina loaded the bases with one out. Joe Sever hit a tapper back to the mound which Kraus fielded and threw home to get the first out, but the return throw to first was wide by Jordan Weems. Weems was charged with an error, scoring Carolina’s thirteenth run. Kraus allowed two runs (one earned) in his three and a third innings of work. The Sox did chip away at the 13-2 lead. In the seventh, Salem put together three consecutive singles by Kevin Heller, Jordan Weems and Matty Johnson which brought in a run. Carolina reliever Ben Heller then uncorked a wild pitch which scored Weems. After Carlos Asuaje was hit by a pitch, Dreily Guerrero singled in Johnson to cut the gap to eight. In the eighth, Gedman singled to start the inning against Benny Suarez. He moved to second on a wild pitch, to third on a fly out, and scored on a sacrifice fly by Kevin Heller to make it a 13-6 game. Carolina did load the bases in the ninth, but Nate Reed got out of the jam with out surrendering a run. Reed threw two scoreless innings in relief. The Sox will try to salvage the series finale tomorrow night at LewisGale Field. Cody Kukuk is on the bump for the Sox, with Ryan Merritt going for the Mudcats. First pitch is scheduled for 7:05.